It is actually Lakshay manages to take Ragini out of the jail. Lakshya hits the constable with a pot, when he comes to give water and so now Ragini and Lakshay run from the police station. The police think Sanskar is trying to escape and catches him. 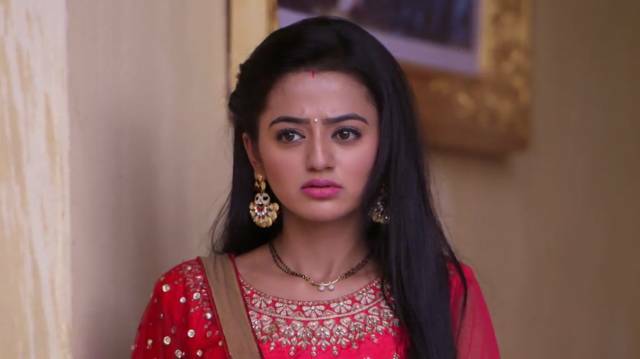 Ragini actually manages to escape from the jail but Sanskar has been catch by the police and the police beat him up to the mark and lock him in the lock up. Now Swara also takes a picture of Kavya and Kartik and calls the police. But, Kartik managed to make the police fool by lying to them.so now the police has been left. And now Swara eventually is shocked and sad to see that Sanskar is now totally wounded with the torture of the police. So now Swara became tensed and rush towards the Sanskar. On the other hand, in the police station, a constable doubts Ragini, while he comes to give them food. After the police leave, Lakshya asks Ragini to have food; and now Ragini prepares food for the Lakshay on the Lakshay’s choice. In the upcoming episode, Kavya and Kartik will be find Sanskar and inform the police. So now the police will rush towards Sanskar to catch him. It will be interesting to see how Sanskar will be managed to save himself. And it is Ragini is cover her face and the police is arrives to unveil her face but when the police try to go towards Ragaini it is Ragini managed to escape from the police with the help of the Lakashy. Will Ragini and Sansakr will be able to saved themselves! Stay tuned for the more updates!! !